Interpreting Burgundian labels can be a labyrinthine exercise, but it has its own appeal. Corton is situated in the Côte de Beaune and there are some 160.19 hectares of grand cru land on the slopes of the Corton Hill. 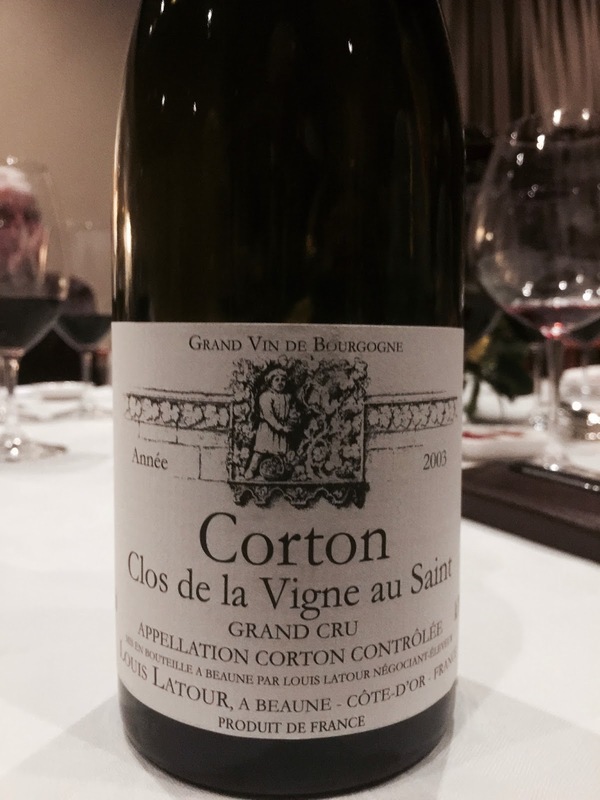 For Corton rouge (which this wine is), Louis Latour is quoted as having 15.09 hectares in Clive Coates MW’s reference book, The Wines of Burgundy (2008, University of California Press). The La Vigne-au-Saint vineyard, where this wine is actually from, is in fact in Aloxe-Corton. All clear then. Corton rouge is said to be the biggest red in terms of depth in the Côte de Beaune and when young can have a herbaceous, leafy aspect to it. I spotted this leafy character in this wine, but it is not really particularly young and I suspect this may be more of a vintage character given that 2003 was a very warm vintage. In the glass, the 2003 vintage has aromatics of clove, plum jam, plums and a herbal character. The palate has mid range length and tertiary characters of dried tea leaves. A leafy character persists and the wine seems not entirely convincing at this point in its development.